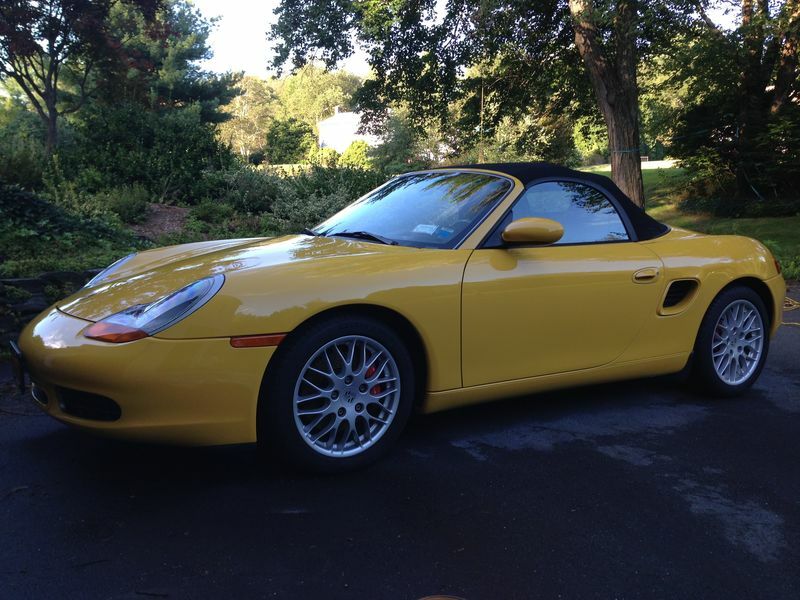 30 years after owning a '71 914, I am the happy owner of a 2002 Boxster S with only 25k miles. Lightly optioned, mainly wheels and stiffer suspension. I think Boxsters are an unbelievable value these days. Thanks guys. I waited quite a while to find a low mileage S in yellow. Not sure I would ever change the color of a car. Thats a really big job to do right. I my opinion changing the color will hurt the resale value. And to do a color change properly is expensive. Maybe a professional warp more economic solution while maintaing the original paint. I like the yellow, also.